​Manchester City and Germany forward Leroy Sane has pulled out of the club's friendly with Peru, with Germany's official Twitter saying he has left the team hotel, citing 'private reasons'. The winger was cut from Germany's 23-man squad for the World Cup despite a terrific 2017/18 season with Premier League champions Manchester City, with the Germans going on to drop out at the group stage. A number of disappointing performances were expected to open the door to the likes of Sane, and he featured in a recent 0-0 UEFA Nations League draw with France on Thursday, but he will play no further part in his country's fixtures before joining up with ​Manchester City again next week. 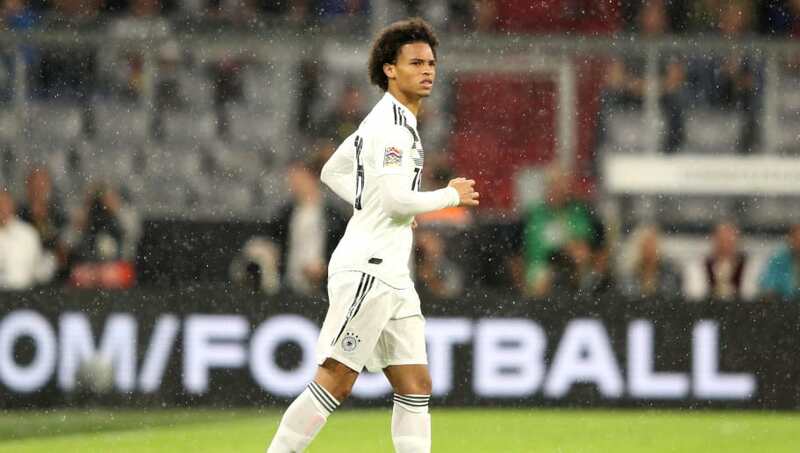 The tweet from Germany read: "Following discussions with Head Coach Joachim Loew, Leroy Sane has left the team hotel in Munich for private reasons and will not be available for Germany vs Peru." While the cause of his exit is vague and unconfirmed, Sane's attitude has come into question a number of times already this season, most recently via German team-mate ​Toni Kroos, who questioned his commitment to the team and said his body language leaves a lot to be desired. Club manager Pep Guardiola is also seemingly unconvinced with the 22 year old's approach, preferring Raheem Sterling, Bernardo Silva and Riyad Mahrez to the German so far this season, and even leaving him out of the squad altogether for last weekend's 2-1 ​Premier League win over ​Newcastle. As such, ​rum​ours of a potential City exit have circulated, although it does seem like a stretch at this moment in time, considering that the ​transfer window around Europe has been closed for a week.